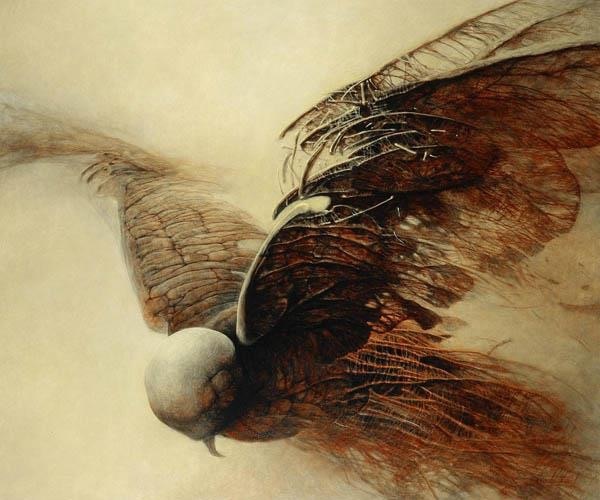 Come Fly with Death: Poems Inspired by the Artwork of Zdzislaw Beksinski is available now as an ebook for $0.99 and trade paperback for $5.99, and will also be available to order through your local bookstore in the coming weeks. What wretched creatures lie before me! 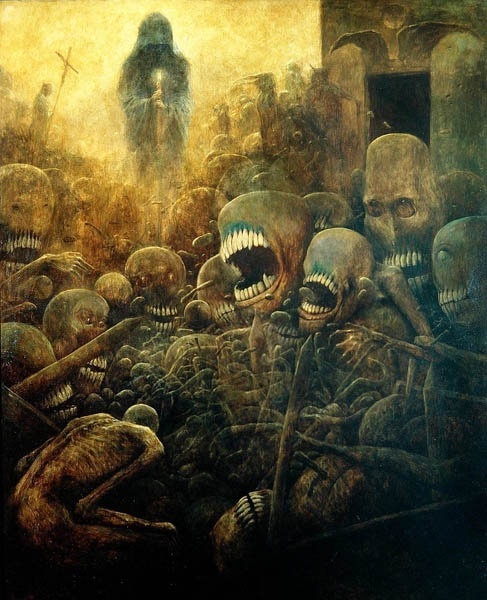 dead men leering in the dark. for sharper teeth and larger maws. and I wear the shroud. The Bearer of the Cross walks beside me. Armies pile high in cold-stone fusion. They died amidst the pit. 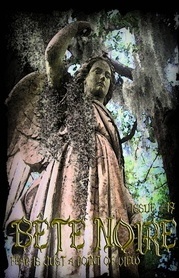 and marched upon the Black Gates. erodes softly into the abyss. 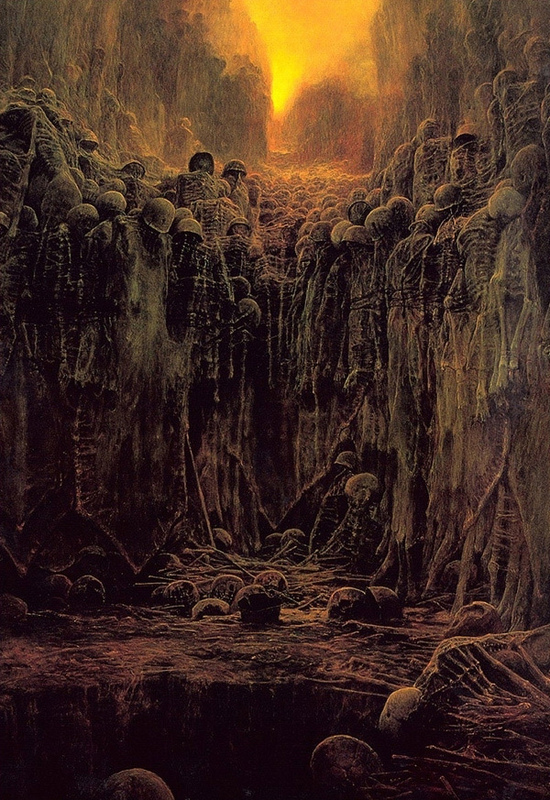 Come Fly with Death: Poems Inspired by the Artwork of Zdzislaw Beksinski releases on Sunday, October 12. Pre-order the ebook here on Amazon for $0.99 or the trade-paperback (List Price: $5.99) on Amazon or the Createspace Storefront. Or wait a week or two and support your local bookstore by ordering directly from them (recommended! ).